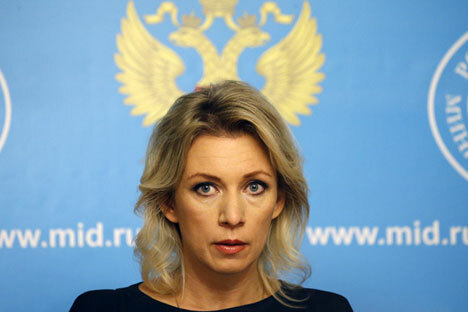 Russian Foreign Ministry pokesperson Maria Zakharova. Nuclear Security Summits "have played their role" and their political agenda has been exhausted; Russia has stopped preparing for the 2016 Nuclear Security Summit in Washington DC, Russian Foreign Ministry spokesperson Maria Zakharova said. "Our country has taken part in three Nuclear Security Summits, those held in Washington (2010), Seoul (2012) and the Hague (2014). The summits have played their role. Considerable progress has been made in the strengthening of nuclear security. However, the political agenda of these summit meetings has been exhausted by now," Zakharova said in her reply to the media question about the upcoming Nuclear Security Summit posted on the Russian Foreign Ministry website. "There are no objectively pending breakthrough decisions requiring the involvement of chiefs of state and government in the field of international nuclear security cooperation," the Russian Foreign Ministry spokesperson said. "As known, the President of the Russian Federation, Vladimir Putin, has decided to stop our participation in preparations for the 2016 summit," Zakharova said. At the same time, "Russia unwaveringly supports the strengthening of physical nuclear security," she said. Read more: Who is happy to see Russian pilots in Syria?